In decoration, as in fashion, we also sometimes find ourselves with the maxim of “everything comes back”. Or maybe it’s that he never got to leave at all? The macramé is the technique or art that is done through knots and ropes. Surely you’ve seen it and you know what I’m talking about. 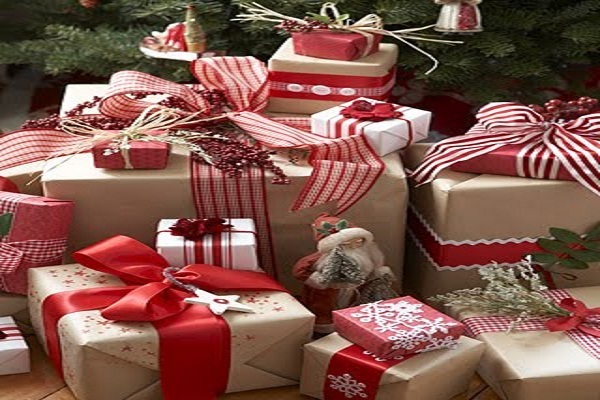 But just in case you are a little lost or want to see how to use it in your decoration here I leave you with 8 ideas that you can put into practice from now in your home. Take note! When decorating the bedroom the headboard becomes a very important element, since you have many alternatives to customize it and give the room a different touch just by changing this part. Why not with macramé? Put it on the wall where you have the bed and you will see what a more welcoming image returns you. It is one of the most common and decorative uses. 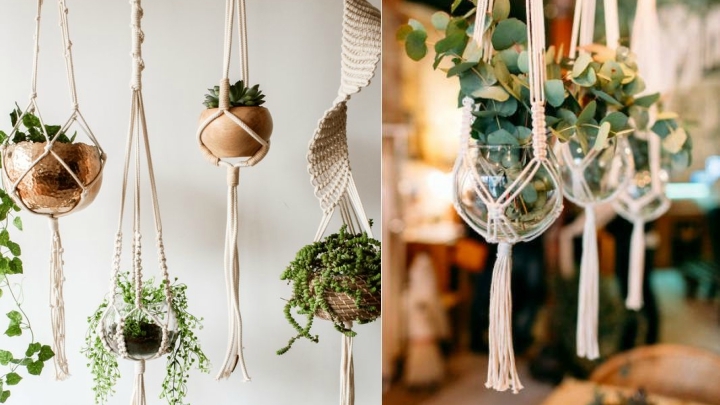 The hanging pots with macramé allow you to design a corner of the most beautiful with your plants. You can make a composition with several of them, of different colors, styles and heights, or put them all the same … I like them especially with green leaf plants, without flowers. You can also add some extra element such as fringes or beads, dye the strings or just a part of them, place different types of plants … A lot of options! Do you dare with macramé curtains? 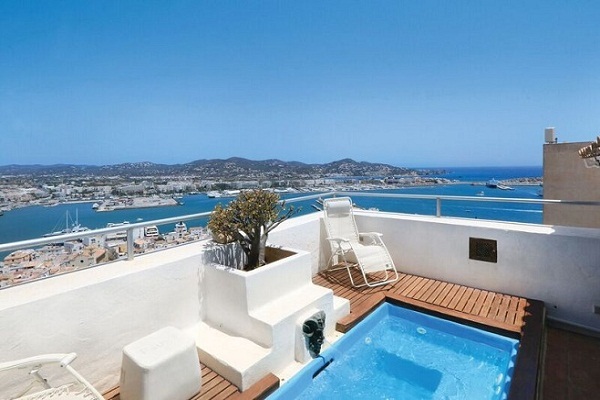 They are very nice if you put them in the door that gives access to your terrace or garden, for example, or to differentiate spaces within the same common area. They are very light and fresh curtains. Something similar to the headboard of the bed you can apply on virtually any wall of your house. Hang a macrame carpet in the living room or in the hall, for example. If you use any of several colors you can give an interesting ethnic touch to your decoration. If you prefer a more serene and natural decoration leave them in neutral tones so that all the protagonism falls on the knots. Also, you can play with the design and, once again, the options are very broad. 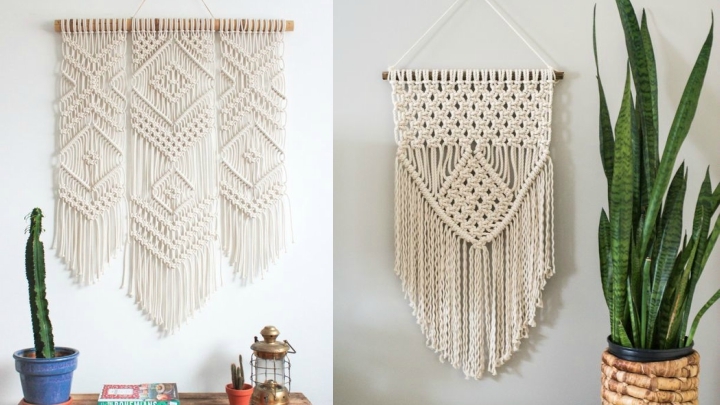 This technique of macramé is easily usable in several common elements of your house. For example, in lamps. You can put a cover to the tulip or at the foot of it. Being an openwork design, with more or less large knots, the light will happen the same and, in addition, you will have a very original decorative piece. 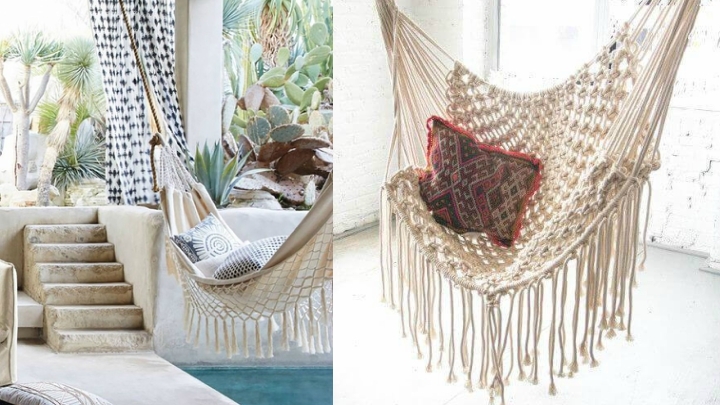 For your outdoor area, if you are lucky enough to have it, nothing better than a hammock or macrame swing. 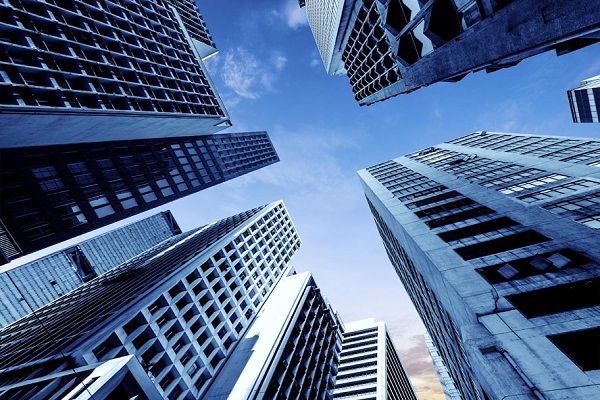 And if you do not have outside space, nothing happens, you can also put it inside your house. Why not? It will be ideal to design a corner where you can relax to read, to listen to music or, simply, where you can not do anything. You can also cover with ropes and knots glass jars you have at home and give them a new decorative use. Inside you can put some flower and use them as a vase, or just leave them as they are with the ropes, without anything inside. Macrame is an art that will also be very beautiful on your cushions. You can play with the chosen colors and with the style you want to give these decorative accessories. If you fancy an ethnic style decoration you can choose earth, orange, red and green tones to print a special air to your favorite corner of the house.